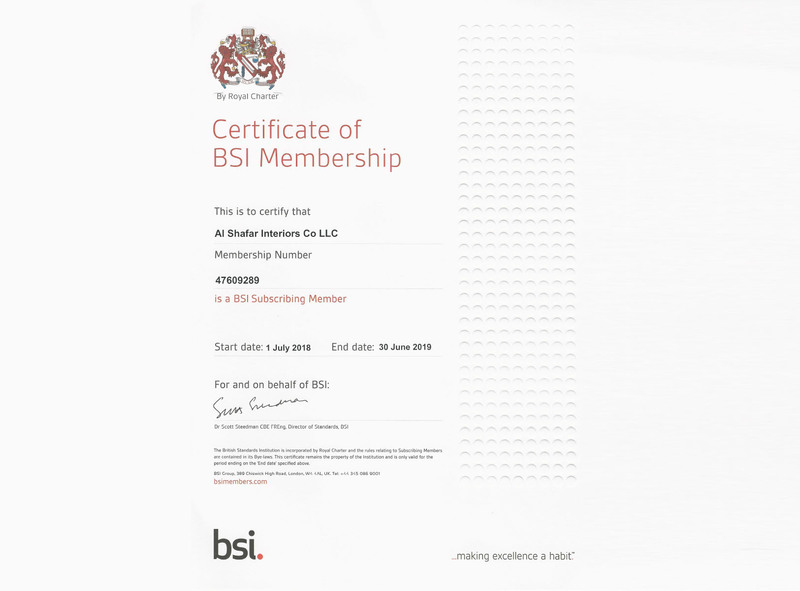 ASI is the interior Fit Out subsidiary of ASGC established in 1997, Operating over the years as both the Fit Out partner of ASGC as well as other contractors and developers, ASI has gained a wealth of experience in many sectors of the construction industry. ASI continuously strives to exceed our customer’s needs and expectations by delivering quality interiors, within budget and on time. We believe that collaboration with our clients establishes a sense of trust and transparency which leads to the lasting relationships and repeat business which we have enjoyed over the years. We believe in earning trust through reliability in our promise, quality of our product and operating to the highest level of safety. Our ISO9001:2015, ISO 14001:2015 and OHSAS 18001:2007 are testament to our working practices. 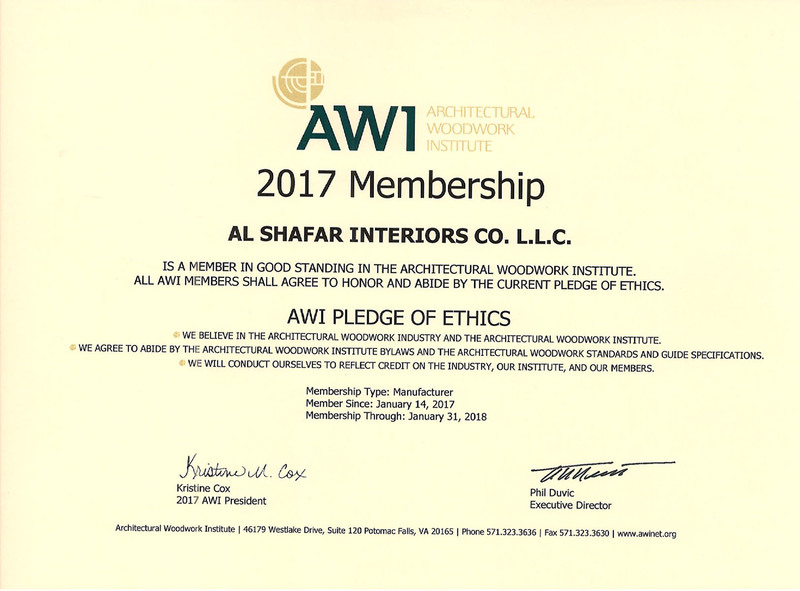 Having a state-of-the-art woodworking factory in DIP as well as in-house capability for the majority of the Fit Out trades, gives ASI an advantage in the market to differentiate ourselves from others. Our experienced management team continuously seek improvement to the efficiency and effectiveness of all our operations. Innovation is a fundamental principle for the entire ASGC group of companies and ASI is no different. We constantly search for new and innovative methods to deliver our projects. Our ISO 9001:2015, ISO 14001:2015 and OHSAS 18001:2007 are testament to our working practices. World class interiors through innovation and excellence . We are committed to delivering world class interior spaces utilising the latest technological and manufacturing methods that meet the unique needs and expectations of each client. We aim to contribute significant value to our clients, our employees and our community through sustainable development, innovation and applying global best practice. We are guided by our values of reliability, transparency, efficiency, excellence, as well as adaptability to the ever changing market in all that we do. 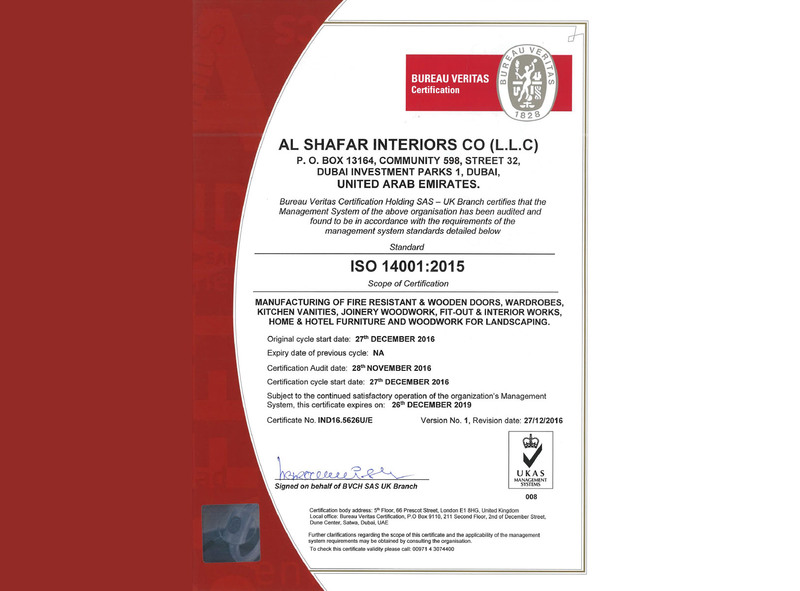 We are an ISO 9001:2015, ISO 14001:2015 & OHSAS 18001:2007 certified organization. ASI’ Management and Employees are committed to a QHSE policy, which adhering to the highest standards of quality, Health, Safety & environmental working conditions, practices and products for our stakeholder or persons affected by our activities in all business operations..
ASI’s clear and honest QHSE policy is ingrained in our core beliefs. Communicate the policy via QHSE Management System that aims to define and delegate QHSE responsibilities throughout the organization. We have completed hundreds of projects and have an exemplary track record with Dubai Civil Defense. We are proud of our zero-accident frequency rate (AFR) track record. ASI employees are constantly striving to improve their performance in order to eliminate lost time, reportable injuries, property damage or negative environmental impact. Our conformity to strict QHSE policies extends from the ASGC philosophy of maintaining the highest possible QHSE standards, which are reflected by our accreditations. ASI’s QHSE Policy is signed and implemented from the very top of the organization. A strict safety regime is practiced on all of ASI’s premises. 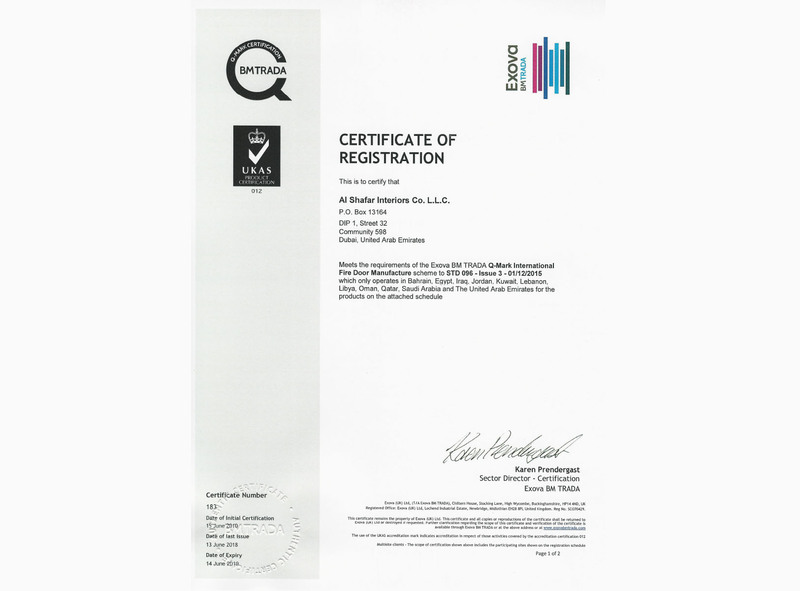 Compliance with QHSE International, local regulations and standards. Designing and delivering projects that are defect free, on time and on budget. Maintaining personal contact with our Client and actively involving them throughout the project’s lifecycle. Developing mutually beneficial relationships with clients, sub-contractors and suppliers. Monitoring and reviewing our performance to identify and implement continual improvements to our QHSE management system and related processes. Establish policies that instruct and guide employees on resolving emergencies and crises. Regularly review, modify and improve system, controls, processes and technology to maintain QHSE integrity and reliability. Using a High-tech equipment and machineries with a preventive maintenance plan. Provide safe facilities and resources necessary for safe operations. Conduct regular site safety meetings. Being committed to the competence, training, professionalism and health & safety of our employees & subcontractors. Manage all subcontractors and supplier’s activities in line with our QHSE policy. Learning from experience, permanently correcting mistakes and preventing future problems and complaints. Implement strategies to reduce pollution and hazardous waste. ASI is committed to adhering to the highest standards of quality in our project execution. Our joinery facility operates on a stringent quality control program in order to provide our clients with the best possible products and Fit Out services. 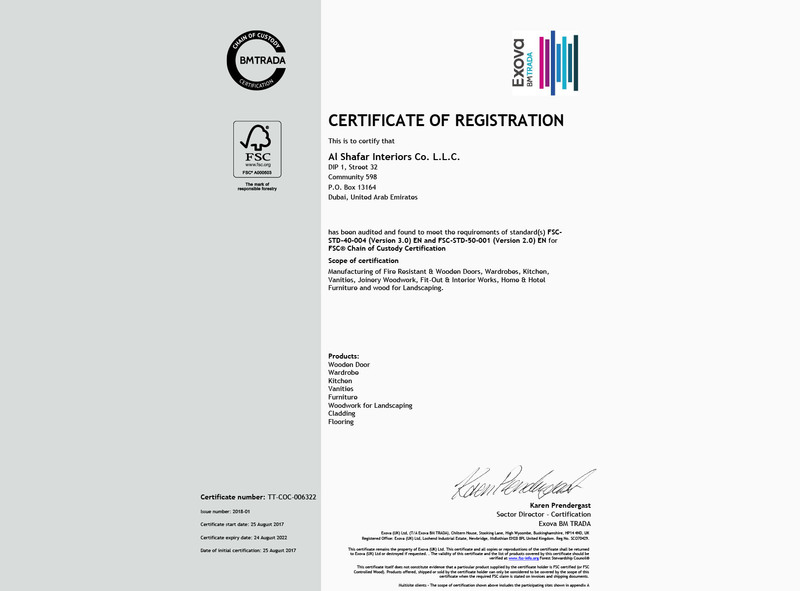 We are an ISO 9001:2015 certified organisation. Maintaining personal contact with our Client and actively involving them throughout the duration of the project. Monitoring and reviewing our performance to identify and implement continual improvements to our quality management system and related processes. Being committed to the competence, training, professionalism and health & safety of our employees. Communicating the requirements of our management system to our staff and others who may be affected by our activities. As a mature and established company, ASGC has developed a comprehensive network of vertically integrated subsidiaries, all providing a stable and consistent supply of building materials and services. Through long-term planning and support from these subsidiary companies, ASGC is able to offer its clients unparalleled confidence in our ability to deliver. Today, all companies are market leaders in their own fields, and work on independent projects as well as ASGC-managed projects. With 22 years of experience, ASI is a Fit Out and joinery solutions contractor. The company’s primary objective is to provide sophisticated finishes and custom-made products for different project sectors. ASSENT is one of the Middle East’s leading companies in the field of structural steel design, engineering, fabrication, painting and erection, with a fully-covered and insulated production area. Using highly sophisticated technology, ASSENT complies with all international standards for quality and accuracy of production. EB specialises in the design, production and supply of ready-mix concrete using highly sophisticated, tried-and-tested processes. With the production capacity of 5,000 m3 a day, EB has grown into one of the largest ready-mix producers in the UAE. With the production capacity of 1 million m2 a year, HBF manufactures all kinds of Masonry & Hourdi blocks, Paving blocks and Sholin blocks for the region. HBF has invested in the most advanced in-house testing and quality control facility and quality assurance technologies. HPBS delivers “Total Precast Solutions” from design & value engineering to manufacture, logistics and installation of precast cement products. HPBS’s manufacturing process is fully computerised from design to delivery.